During the frigid Antarctic night, the trace gas monitoring station at the South Pole shot past another somber milestone as its CO2 measurements exceeded 400 ppm for the first time on May 23rd, 2016. 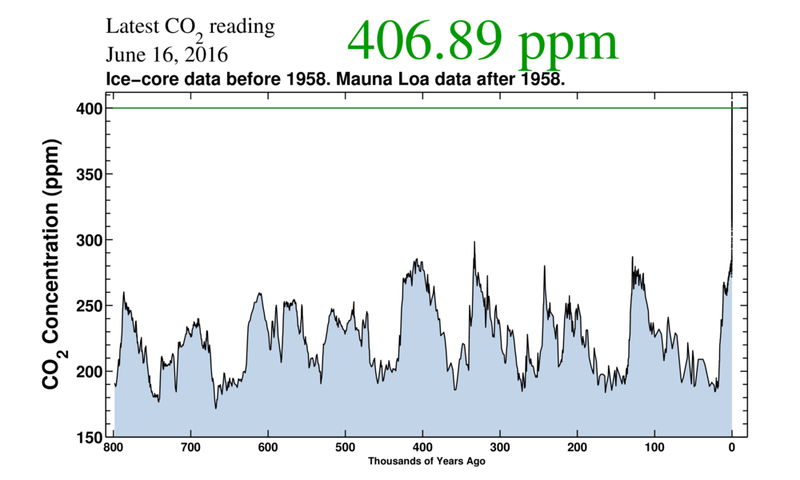 The ESRL/GMD data collected since 1975 made it clear and inevitable that this event was coming, but at the same time, it is still a troubling moment in the ongoing, accelerating increases of CO2 emissions and the realization of more troubling climate consequences. 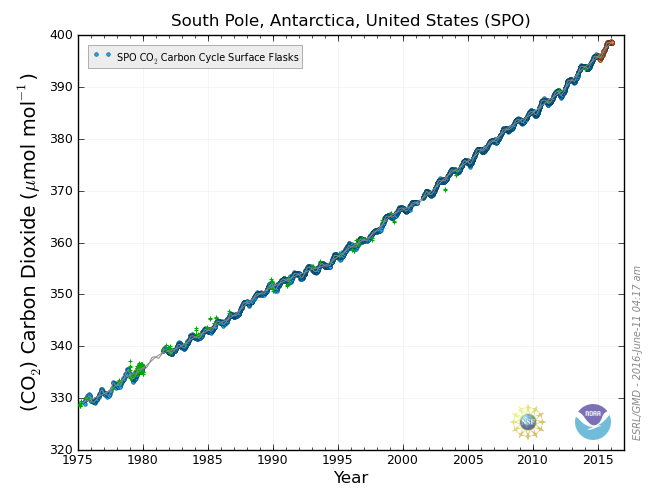 The South Pole (SPO) site was the last globally to slice through this point at which many scientists concur that we begin to experience climate extremes that will make human life more difficult globally, with more severe natural impacts. 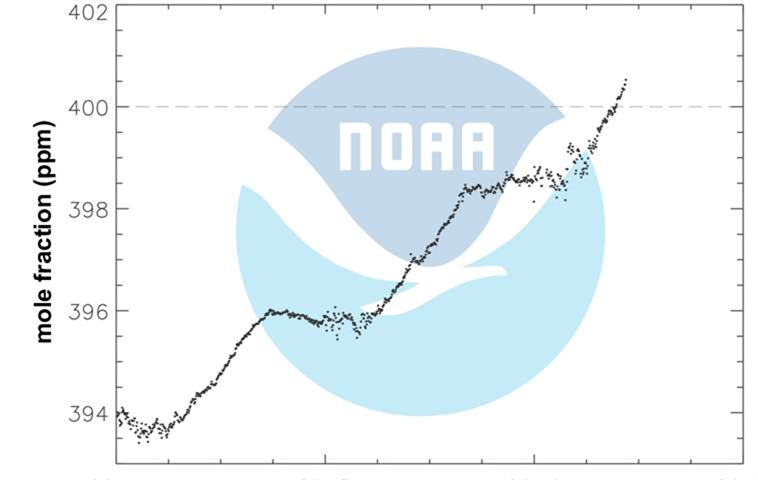 It is a CO2 level not reached in human history - and one we will not see again for hundreds, if not thousands of years, as illustrated by the Keeling Curve, much of it drawn from Antarctic ice core data.